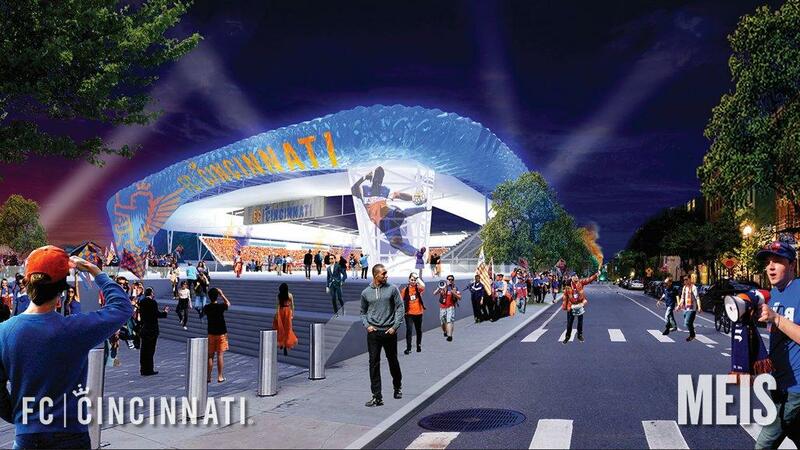 A rendering of what FC Cincinnati's new West End stadium could look like. Council voted 7-0 in favor of the resolution, with council members Chris Seelbach and Greg Landsman absent when the vote was taken around 6 p.m. Wednesday. The approval came after officials and lawyers from FC Cincinnati, the Port of Greater Cincinnati Development Authority, and six members of the West End Community Council and their attorney spent more than nine hours working on the amendment behind closed doors at City Hall. The Port will commission a housing study in the West End, and FCC will pay the costs up to $100,000. FCC will support the Port in efforts to invest in equitable housing development in the neighborhood. FCC will create and support the West End Youth Soccer program with a minimum annual commitment of $100,000. FCC will support the Port's efforts in the stabilization and revitalization of the Regal Theatre. FCC will ask its general contractor to hold two job fairs in the West End: one focused on stadium construction jobs, and another following stadium completion. FCC commits to pay its full-time employees at least $15 per hour. The community will have the opportunity for engagement and input, but not approval, on design elements of the FCC stadium and the new Stargel Stadium the team will build for Cincinnati Public Schools. There will be a 17 member Community Coalition that will assist in implementing the community benefits agreement. Council Member David Mann said the agreement reflects hard work and includes additional commitments from FC Cincinnati. He called it a partnership between all the parties and that includes the city. "Some of what needs to happen in the West End to make it all that we want it to be requires commitments by the city," Mann said. "Which are not reflected in these documents, but we've had conversations today about concerns on the impact on property values, gentrification, affordable housing, and the city has plenty of work to do." Mann said the city will need to work on those issues. Sittenfeld said the agreement is good news, which the city could use right now. He said that good news came Wednesday from the West End community. "I imagine not everyone feels, by a long shot, that they're getting everything that they wanted today, I appreciate that," Sittenfeld said. "But I thank you all for engaging the process in the way that you have." Vice Mayor Christopher Smitherman also applauded the participation of the West End community. He thanked the residents for coming to the table and compromising. Smitherman said now the focus needs to be on healing. "How do you bring the West End community back together," Smitherman said. "Those who weren't supportive of it, those who are supportive, and what does that healing process look like?" The Port will issue the various bonds needed to build the stadium and associated roadway and utility projects. Those include approximately $200 million in lease revenue bonds and $22 million in Property Assessed Clean Energy (PACE) bonds. The Port will own the project but the team will be responsible for everything related to ownership, meaning the team is on the hook for all assets and liabilities, not the Port. WVXU's Tana Weingartner and Bill Rinehart contributed to this story. Cincinnati City Council voted Wednesday on an ordinance setting up a three-year pilot program for low-speed vehicles. 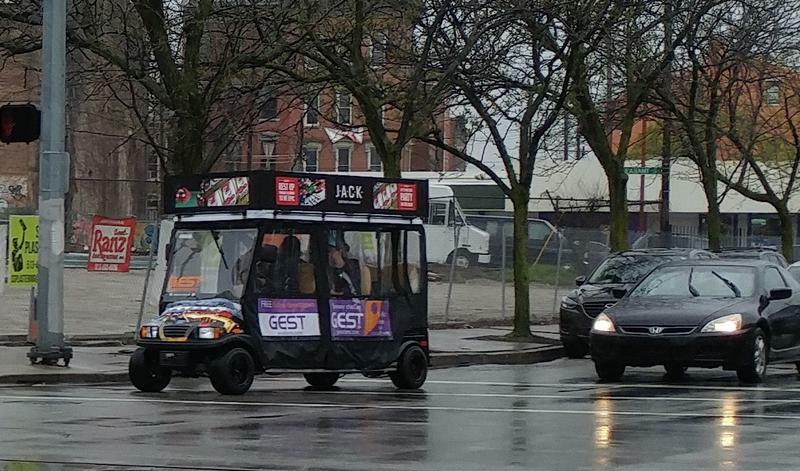 One operator describes them as "souped up" or "special" golf carts that are providing rides in the Downtown area.